By now, Portlandia is a semi-famous television show, with thousands and thousands of viewers and dedicated loyalists*. Familiar faces from Hollywood’s comedy intelligentsia (read: Hipster Elite) make cameos. And there are recognized catch-phrases. And it really only took six episodes for the whole thing to become part of America’s modern hipster (read: young) zeitgeist. *These are the same people that watch Kids in the Hall on Netflix and are still mad that other people can’t understand the brilliance of the old Comedy Central show, Stella. At its core, Portlandia is an outrageous send-up of Portland’s social and cultural landscape (a place where “young people go to retire” and the “dream of the 90s is still alive”). And this, I think, is what makes the show so fascinating. It’s a show that pokes fun at Portland and all its idiosyncrasies. And yet, it’s prime audience is made up of people that are exactly like the citizens of Portland. I’ll be the first to admit that I was late to the Portlandia gathering. (All the gluten-free beers and arugula salads with pumpkins seeds were already gone.) It stars Carrie Brownstein (formerly of NPR music and Sleater-Kinney, perhaps the quintessential indie band from the Pacific Northwest) and Saturday Night Live veteran Fred Armisen. 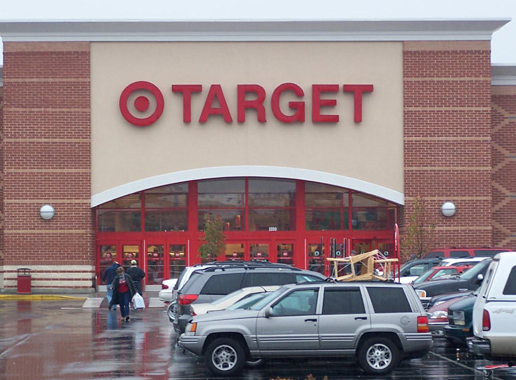 There is something dignified about Target, something that makes it not seem like a place for the uncleaned masses to park their conversion vans and trailers and huddle in the darkness, listening to c.b. radios while roasting cocktail weenies, i.e. something that makes it not seem like Wal Mart. To describe this distinction in the best way possible I’ll hearken back to my days of employment at Super Target. Back then, a customer asked me if we had any foam coolers. He needed one for his fishing trip. Like everything else in the store, I had no freaking idea if we had foam coolers, so I called my supervisor over. He mulled the request for a second, just for a second, and then told the guy, no, we didn’t have any. “That’s more of a Wal Mart thing,” he said. Monday night, at about nine, I announced to my roommate and his girlfriend that I was going to buy a coat. Like everything else I purchase, I wanted to do it cheaply, like Kevin Arnold’s dad kind of cheaply. But I wanted to save a little face. I didn’t want to buy a coat at Goodwill (been there, done that) and later find out that the disease from “Contagion” is swimming through its lining. And I didn’t want to buy a coat at Wal Mart. I’m pretty sure coats at Wal Mart come in two varieties: camouflage and hunter orange. As an avid fan of both documentary film and sports, I’m naturally a Steve James enthusiast. James is the filmmaker responsible for Hoop Dreams, which is certainly one of the best pieces of sports media ever assembled, and perhaps one of the best documentaries ever made. 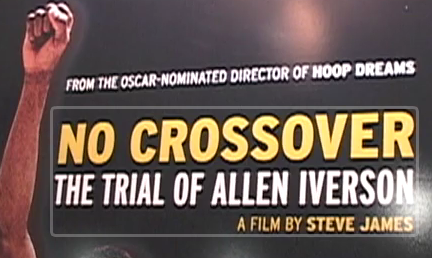 After forays into the dramatization of sports (Prefontaine) and non-sports documentaries (The War Tapes, The New Americans), James returned to non-fiction basketball filmmaking in 2010 with No Crossover: The Trial of Allen Iverson. The film originally aired at SWSX and as an ESPN 30 for 30 project, and it stands among the best of ESPN’s documentary series, which is saying a lot. James doesn’t focus on the Allen Iverson story we all know (Georgetown, NBA, controversy, neck tattoos), instead delving into a detailed analysis of Iverson’s arrest and conviction on felony charges for his alleged involvement in a brawl as a 17-year-old dual-sport star in Hampton, Va.